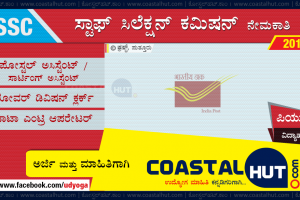 Government of Karnataka, Dakshina Kannada (DK) District Revenue Department invites applications for recruitment of Village Accountants for filing up 40 Vacancies. 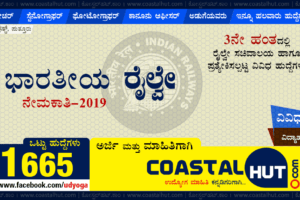 Dakshina Kannada district also called as Mangalore District holds the coverage of Managlore Taluk, Bantwal Taluk, Belthangady Taluk, Puttur Taluk and Sullia Taluk. VA Direct Recruitment 2015 is open to fill up the available posts of VA in DK District’s Revenue Department. JOC / Diploma or any technical education is NOT eligible to these posts. my qualification is JOC.(10+2). Can I apply this post? 6. 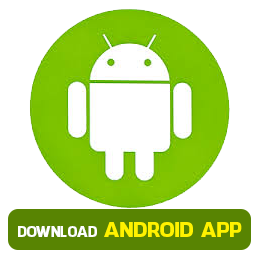 Scan and Upload the Paid Challan to the same application reference. Minimum Pass Class (i.e., 35%) is required. But, normally higher percentage gets more chances of selection. I AM DONE WITH MY DEGREE CAN I APPLY? my qualification is PUC With 50% and diploma in computer science with 64%.can I apply this post? Sir, for this post any computer cource certificate required? va recruitment based on pu marks???? wat abt last time selection in cat 2A percentage? is this having any exam? Based on PUC marks you can apply. You are eligible, but we do not guarantee that your score meets the current cut off marks. Sir, i will passed puc with 358 marks. i can apply for this job..
Sir I did PUC in andhra Pradesh but I did degree in Bangalore only I know very well Kannadaabd I got 89% in PUC can I apply for thus job ? We suggest you to approach to the helpline number given above for the assistance. sir i have completed diploma in E&C…. and also BE in telecommunication with 66% of agreegate…… can i eligible to apply for VA????? Sir nanu correspondence puc passed with 90perce can I apply . Dear sir, nange puc nali 77. 50 percentage marks. 3nd A cat. Computer complt agide…. can I apply for this job??? 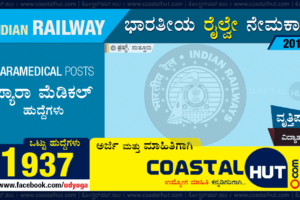 Does it make any difference if i’am well experienced in private company & have a good profile..
Sir I worked as va in chamarajanagar district but my native is Dakshina kannada can I apply for post.my percentage is 92.
sir. i am studing M.S.W i can appy for this post. It looks like this people making some fraud. I got 72 percent in PUC and I am ST candicate but I don’t know why this people selected who had less than 60% marks in ST category than me. I simply wasted 250 Rs. why it is getting delay .? Please let us know asap..? The declaration of result says still incomplete, I mean we are waiting final selection list, as per the calender event 29/10/15 suppose to realease it but still not yet, if realeased final list kindly send us the link which we can access and find the result if still not yet announced / released final list please confirm the dates that your going to realease. Final selection list is not announced yet. Deputy Commissioner’s Office, Mangalore holds the rights of the declaration of final selection list. For your kind information… there is NO ANY WRITTEN Test for VA posts.